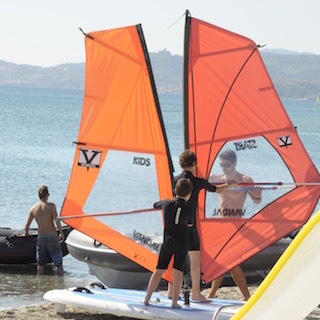 With us, you can learn every ages… classes of windsurfing and catamaran Hobiecat 15. 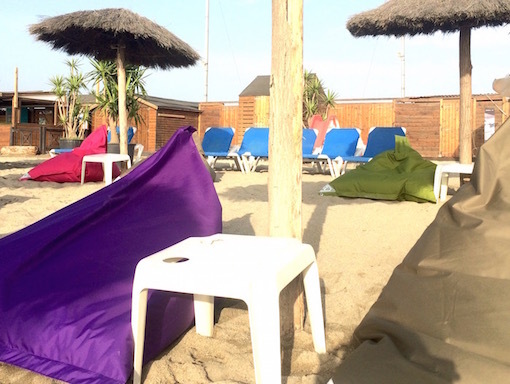 Welcome on our beach club ! 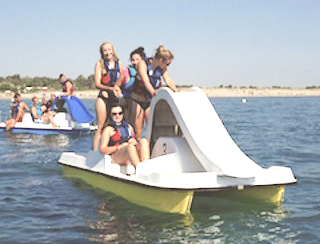 A new way to move for you this summer! 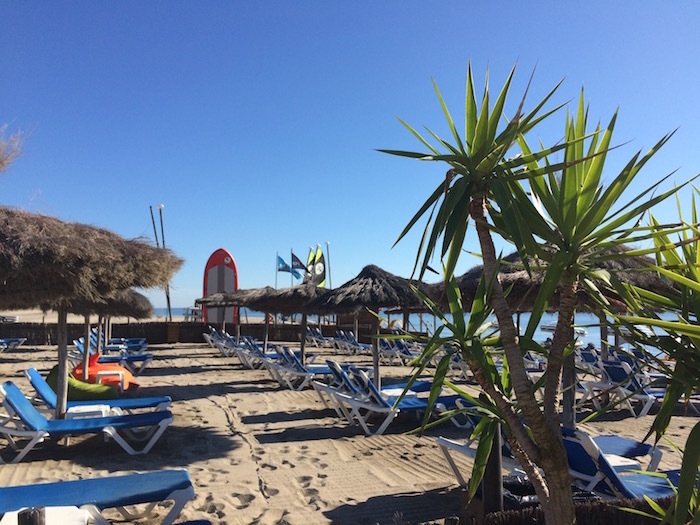 Our club of beach with sunbeds and huts to be rented in the day. We also have big cushions confortable Sit on it! 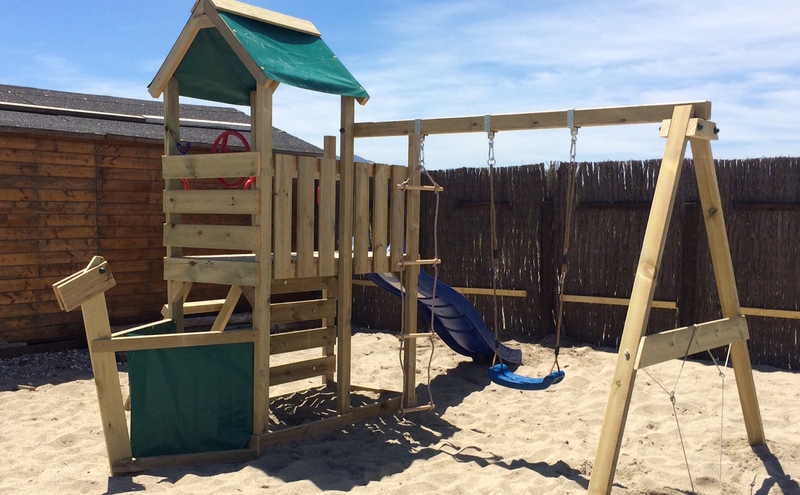 With access for the youngest to the playground with swing and slide, under the supervision of the parents. 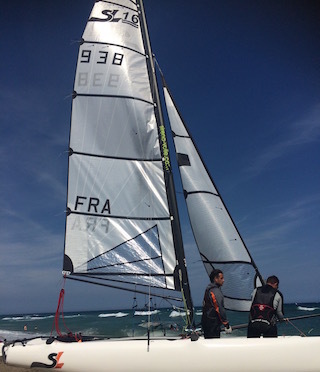 Sport catamaran courses HOBIE CAT 15 school style with our graduate sailing hand with well-pedagogic skills to learn as well as the youngest and the adults. Our dynamic team take care of windsurfs courses for all levels: beginners (from 6 years old) to the improvement with adaptable facilities. … in an ideal setting ! 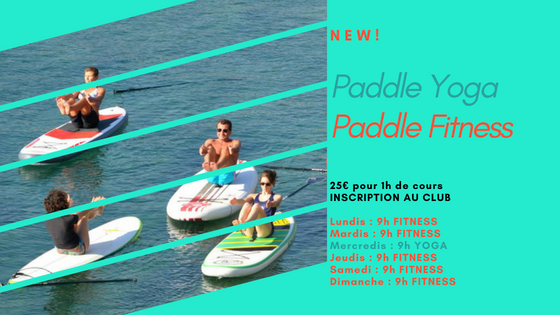 Argeles-sur-mer la naturelle” in the department of Pyrennée-Orientales (66) and us, offer you peaceful and relaxing, athletic and rewarding, fun and soothing holidays, or the three at the same time! 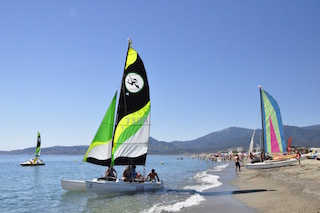 All of that with exceptional landscapes of Argeles-sur-mer with a seaside and the Albères Mountains. Our beach is near to a terrestrial nature reserve, the reserve of Mas Larrieu, so the beach is wild and protected from constructions. 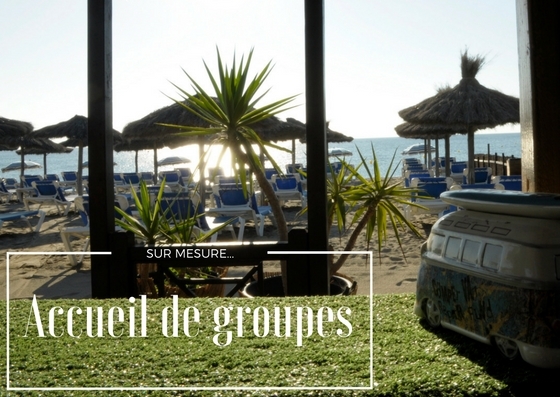 Get some exclusive benefits with our campsite partnerships in Argeles-sur-mer. Having some reduced prices for your organised trips.